Lick it here, lick it there, lick it everywhere around Brisbane! Licking into a freshly made gelato is probably the closest thing we’ll ever get to heaven on earth. Thankfully, Brisbane is piled with a variety of gelaterias to spoon into. From Marshmallow, to Bacio and even Peanut Butter & Chocolate – these flavours are waiting to be explored! More than a creamy lick or two; Ciao Gelato is a form of art served elegantly in a cup or cone. Welcomed into the Nundah store, guests will be amazed by the variety available. From gelato to cupcakes, brownies, cakes, pops and even sundaes – Ciao Gelato is described as traditional Italian gelato with an Australian spin. With the largest vegan range in Brisbane and the only gelateria that sells low calorie + high protein gelato (@fitlato), Ciao Gelato is renowned for having an abundance of delicious gelato. The team create over 90 tubs a week, with over 45 flavours rotating on offer! Named after a city in Italy’s central northern region, Gelateria Cremona is surely a colourful taste of Italy in Brisbane. 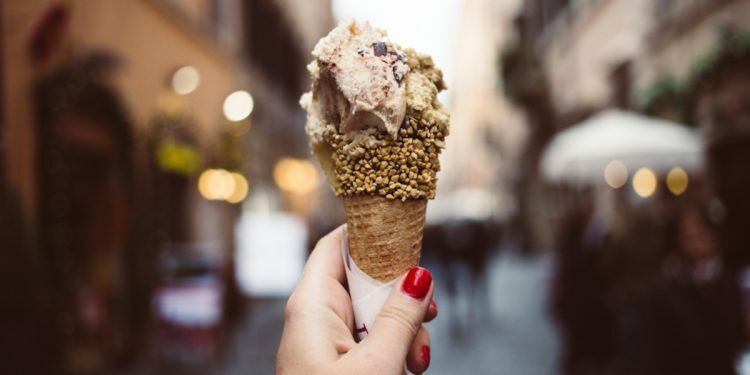 Sitting just a short stroll away from Gregory Park, the gelateria uses traditional Italian gelato making methods to create a mouthwatering range of gelato, sorbet and even granita. Visitors can expect to enjoy regular flavours like Cappuccino or Pistachio alongside some of their specials like Saffron & Rosewater, Dark Chocolate Sorbet and even Strawberry and Balsamic Vinegar gelato. Although it might seem like a trip in itself, Jeppo Gelato is bound to be far from disappointment. 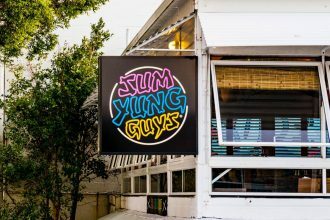 Since 2009 in Brisbane’s Cleveland, Jeppo has been known for their creamy and very addictive desserts – including gelato of course. With gelato made fresh daily on site; start your visit with their blueberry and ricotta hotcakes, followed by Rigatoni and finish with a scoop or two of their freshest and creamiest Popcorn or Rosewater and Meringue gelato if available. From breakfast all the way through to dessert – you’ll find a reason to never leave Jeppo Gelato. Sitting a street away from Brisbane River in Teneriffe, La Macelleria Gelateria is the closest taste of traditional Italian gelato in Queensland. Both owners named Matteo, learnt their gelato making skills in Bologna, Italy – the homeland of gelato. Since 2012, La Macelleria Gelateria has only used natural ingredients to make their 20-flavour range of gelato daily. Apart from the jaw-dropping gelato cakes and the gelato workshops; upon your many visits opt for one of their classics to start with either Bacio (chocolate meets hazelnuts) or Fior Di Latte (milk/cream). From a European getaway, to studying under a Master Gelato Chef at the University of Bologna to winning the Grand Champion Dairy Product in 2017 for their dark chocolate gelato. Since 2004, Milani House of Gelato in Brisbane’s Hamilton has exceeded and aced every aspect of the much beloved gelati. Using local fresh ingredients, Milani House of Gelato creates divine flavours each morning. Upon your visit scoop up their legendary Dark Chocolate gelato or one of their weekly specials with recent hits such as Durian or Cherry Mania. What better way to experience Sugo Mi than starting with fresh pizza and pasta and then finishing off with award winning traditional Italian gelato and sorbet. 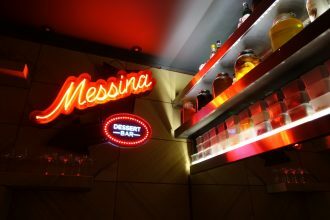 With dairy, egg and gluten free options, gelati lovers of all likings are welcome to experience a true Italian flavour. Start your visit with their Ravioli filled with pumpkin, ricotta and sage then finish with Earl Grey & Organic Lavender or Peanut Butter & Chocolate gelato. One scoop or even three – it’s whatever you please at Sugo Mi!